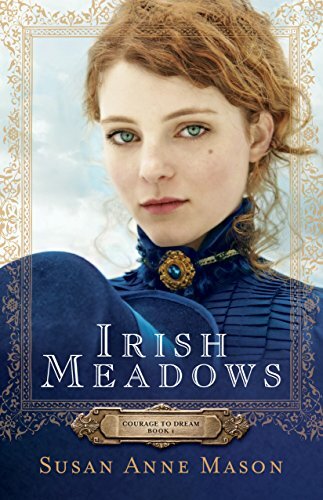 1911, Long Island, New York Faced With an Uncertain Future, SometimesAll You Have Left Is the Courage to DreamBrianna and Colleen O'Leary know their Irish immigrant father expects them to marry well. Recently he's put even more pressure on them, insinuating that the very future of their Long Island horse farm, Irish Meadows, rests in their ability to land prosperous husbands. Both girls, however, have different visions for their futures.Brianna, a quiet girl with a quick mind, dreams of attending college. Vivacious Colleen, meanwhile, is happy to marry--as long as her father's choice meets her exacting standards of the ideal groom. When former stable hand Gilbert Whelan returns from business school and distant relative Rylan Montgomery visits Long Island during his seminary training, the two men quickly complicate everyone's plans. As the farm slips ever closer to ruin, James O'Leary grows more desperate.